Nobody knows what will happen in the future, and there are many uncertainties looming just around the corner. This is the reason why a huge number of individuals have taken extra efforts in keeping their families lives safe and secured. Investment is a popular activity that provides a good measure of relief to people. There are a number of things you can invest in but one of the most important ones are about health. Umbilical cord blood banking has become quite a common practice, making it a good form of investment. Let us look at the benefits of banking with cord blood as well as a few ways on how to save money from the procedure. Cord blood banking provides a wide variety of benefits to those who are willing to pursue this endeavor. It should be noted that banking on cord blood is considered to be a bit expensive. Families can expect to be paying from about $1,000 to $3,000 for the first-year processing fee. This does not include its annual storage costs of about $90 to $175. As you can see umbilical cord blood banking is indeed expensive. With that being said, many feel that the overall benefits it provides are able to outweigh their cost. Umbilical cord blood is stored for future medical use. The stem cells found in cord blood are known to treat diseases that harm the blood and immune system, which include the likes of leukemia and certain cancers, sickle-cell anemia, as well as some metabolic disorders. 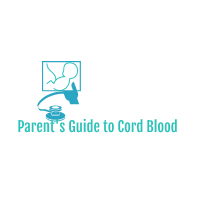 Cord blood is also used on a number of researches which help pave the way in the introduction of new innovations in the field of medical science. As mentioned earlier, cord blood banking is expensive. This in turn can make people reluctant to store their cord blood for future use. Price is indeed an issue with regard to umbilical cord blood banking; however, more and more individuals were able to find a good alternative allowing them to save a fair amount of time and resources with cord blood. Public cord blood banking is growing in popularity giving people the option to store their cord blood without spending their entire fortune. Public cord blood banks can be used by the community making them very much accessible to those who are in need. It can, however, take some time to find a match unlike private cord blood banks which is instantaneous. As such, private cord blood banks offer a good measure of convenience but it comes with a price. It is important that you talk with your partner on what type of banking you want to pursue with your umbilical cord blood. Make sure to get in touch with your doctors and let them know that you are interested in cord blood banking. This in turn will make the transfer of your umbilical cord blood seamless and fast right after your delivery.